The four-door coupe sedan is the first car to incorporate the new Mercedes-Benz design idiom of dubbed as 'sensual purity'. Until the launch of Audi's new-generation A7 Sportback, the new CLS has no rivals in India. The CLS range is not the usual Mercedes-Benz models that we see every day on the roads like the C-Class, E-Class, S-Class and others. 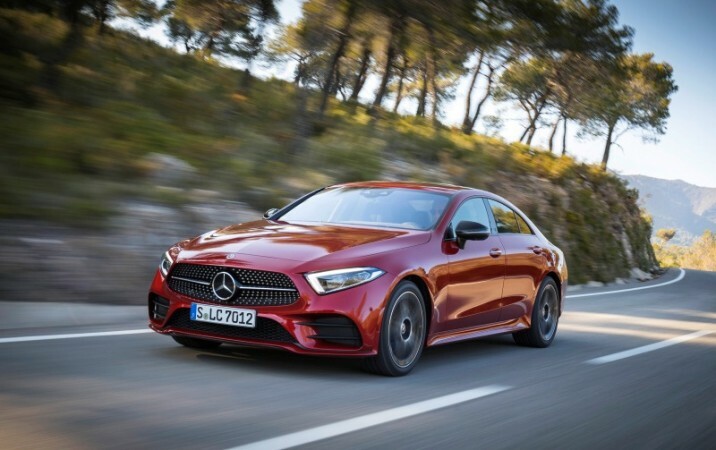 The CLS features four-door coupe sedan body style and hence only those who have a real interest to stand out from the crowd will be opting this Merc. For them, Mercedes-Benz India has launched the third generation CLS. Mercedes-Benz India has priced the new CLS that made global debut last year LA Auto Show at Rs 84.70 lakh (ex-showroom, India). Offered in the CLS 300 d variant, the latest generation is the first car to incorporate the new Mercedes-Benz design idiom of dubbed as 'sensual purity'. The signature bits of the CLS such as the swooping roofline and frameless doors have been retained in the new version as well. The third generation, however, is less bulky and edgier. The angular and aggressive headlamps are the flag bearer in this transition. 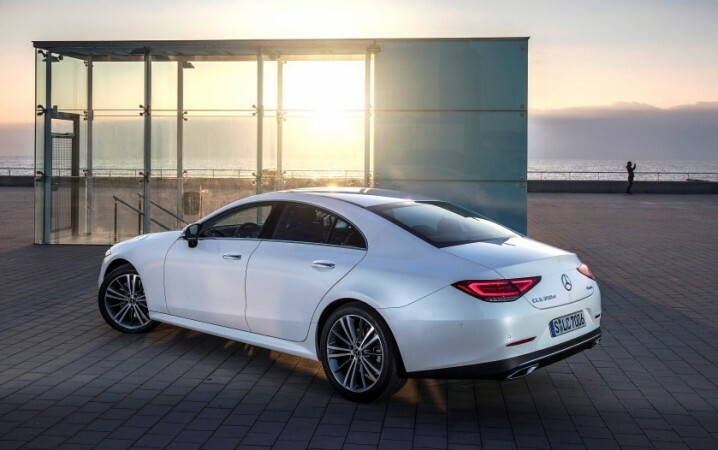 Mercedes-Benz has eschewed unwanted haunches in the body and the CLS now looks clean and mature. The new CLS is offered with an array of exterior paints including Graphite Grey, Ruby Black and Designo Selenite Grey Magno. The new CLS is based on the same platform as the E-class while the length, width and the height of the car have been increased. 2018 CLS is also 61mm longer wheelbase at 2,988mm while the boot space is the same as the previous model at 520 litres. Ambient lighting in 64 colours along with illuminated air vents are the major highlights the interiors of the new CLS. The car flaunts a high-resolution 12.3-inch media display screen along with a digital cockpit with three selectable display styles and new generation telematics which includes the Audio 20 with NTG 5.5. The new CLS is installed with Burmester surround sound system which includes 13 high-performance speakers. The four-door coupe is powered by new BS-VI compliant 1950cc in-line four-cylinder diesel mill that develops 245hp at 4200rpm and 500 Nm at 1600-2400 rpm mated to a 9-speed automatic gearbox. Mercedes-Benz claims the new CLS does the 0-100kmph sprint in 6.4 seconds while top speed is rated at 250kph. 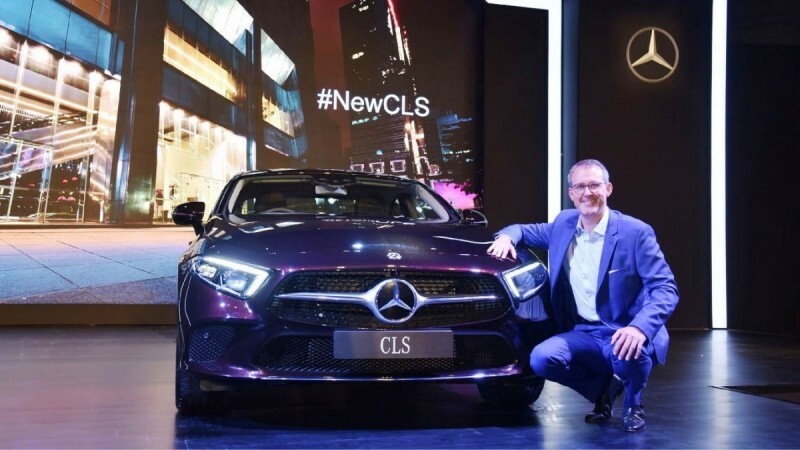 The new Mercedes-Benz CLS goes on sale without any major rival in India for now while Audi's new-generation A7 Sportback is expected to be launched soon.